Our Pure delight gift is an enchanting arrangement of sweet smelling avalanche roses hugged with white long stemmed oriental lilies with soft yellow blooms. 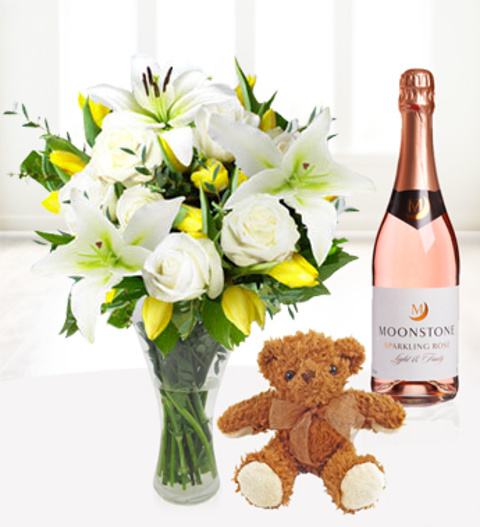 Pure delight is that perfect arrangement for Mum this Mothers day and is available for UK next day delivery. Chocolates may contain nuts.